Introducing... Ari's Natural Wine Co.
Natural wine from locally sourced fruit in the Southern Highlands NSW. Ari’s Natural Wine Co. started as a family hobby situated on the south coast of NSW. A vinous pass-time which is often enjoyed amongst migrant families here in Australia. Enter father and son, Aristotle and Tony Zafirakos. Having migrated to Sydney from a small village in Greece in 1962, over the years 'Ari' missed the wines he grew up making and drinking in his motherland. So, in 1985 he started making his own, as he always has, without factory adds or corrections. Good wine is the making of many components, whole. Like it's effect on those that consume it, it brings us all together in the celebration of quality farmed fruit, a time & experiences sealed, shared and ingested. What better way to elaborate and elevate on this togetherness than to lock treasured moments and achievements with family into bottle!!! 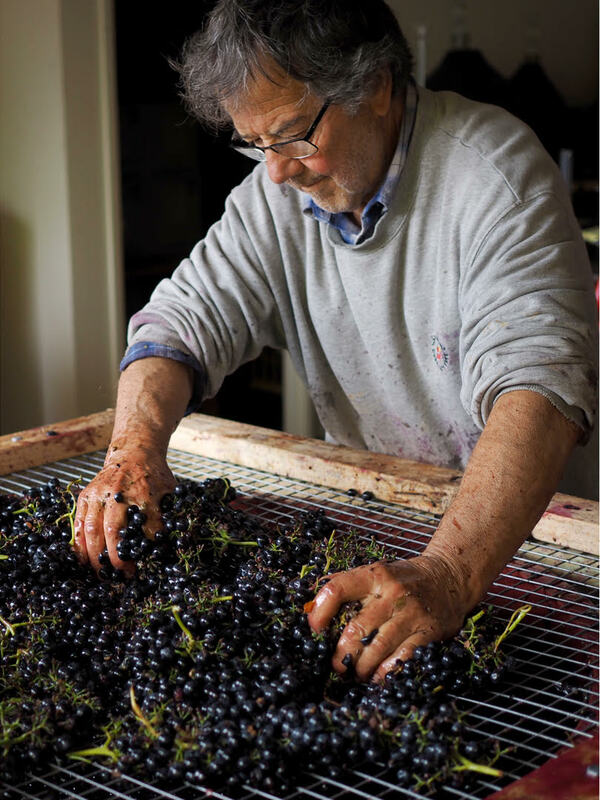 Over 30 years later, along with his son Tony (frequent vintage hand at Ajola, Umbria), the decision was made to open this special family product to the public, and Ari’s Natural Wine Co was born. Based in the Southern Highlands of NSW, the focus is on sourcing fruit from sustainable and like-minded growers predominantly from the Southern Highlands, Goulburn and Murrumbateman. All fruit is hand harvested, and the whole process is underpinned by one simple tenet – “nothing added, nothing taken away”. There are no corrections, filtering or fining and no sulphur added at any stage. All those many moons ago, winemakers faced the inevitable dilemma; how to go about successfully fermenting juice without fault. The process at the time was a little rudimentary, and wine would often stand in open or porous containers, exposed to oxygen and spoiling quickly. As no wine should be wasted, the Greeks came up with an ingenuous solution. They started to seal the containers with pitch from local Aleppo pine trees, a native preservative aid with lifted, vermouth like aromatics and savoury, herbaceous nuances. The style of 'Retsina' was born. Handpicked as bunches at 680m elevation on deep red soils with iron-rich sediments and limestone in Goulburn, NSW. Both Chardonnay and Semillon are co-fermented wild as bunches and left to macerate on skins for a total of 30 days in stainless steel with gentle wetting of the cap and the precise addition of Aleppo Pine resin. The resulting wine is then basket pressed to old French oak where it completes full wild malolactic fermentation and left to to mature on lees for 9 months until it is racked to tank to settle before bottling. Unfined, unfiltered and no added sulphur. The drink is known to pair well with a sweeping view of the Mediterranean, but for those who can’t have spontaneous Greek wine getaways, couple it with seafood or a traditional meze spread. Seeing is believing! Cabernet Sauvignon was hand picked at 630m elevation in Murrumbateman, whilst Pinot Noir and Pinot Gris were handpicked from a vineyard elevated at 635m in the Southern Highlands; both vineyards reside on a combination of ancient decomposed granite soils, amongst the oldest on the planet. All fruit was destemmed by hand and wild fermented on skins for 14 days in separate stainless steel vessels with punchdowns occurring 3 times daily. The resulting wines were then basket pressed to old French oak where they completed full wild malolactic fermentation and then left to mature on lees for 10 months until being racked to tank to settle before blending and bottling.